Almost all games contain some kind of movies. These can be trailers, intros or movies that tell fragments of the story – and they tend to be better or worse. The best ones are worth promoting and awarding – this is why for the third consecutive year, we are preparing a contest for the best films from games – this time from the year 2018. 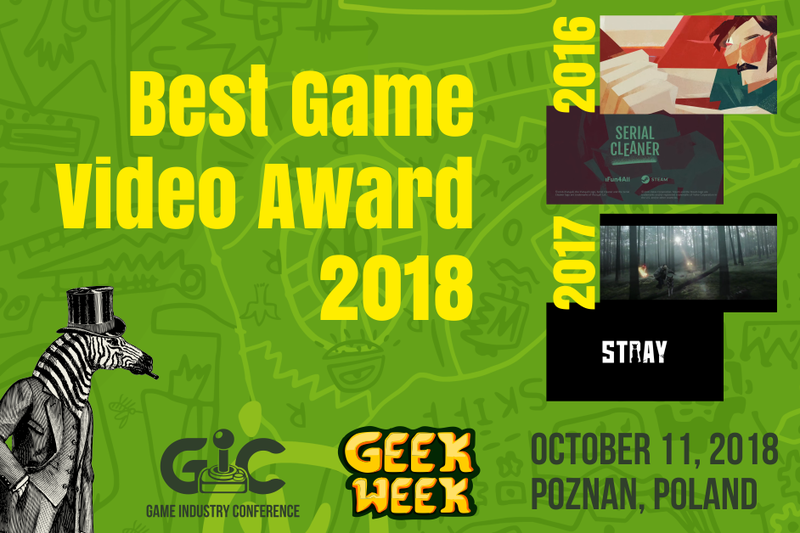 On Thursday, right before the GIC and PGA, there will be a screening of selected videos and the Best Game Video 2018 awards will be chosen. The event will take place in Multikino Cinema, ul. Półwiejska 42 (The Old Brewery/Stary Browar Shopping Mall), 11th October 2018, 6PM. For submission to Best Game Video 2018 award, please fill in your game videos. The submission form can be found on the bottom of the page. Studios being makers of nominated videos will be invited to participate in the event right before the Game Industry Conference. On Thursday the 11th of October, the videos will be presented, and the awards will be given. By submitting your project, you confirm that you agree to the terms and conditions available here. This call is open till 26th August 2018. We will inform you about qualification to the contest as soon as possible.